Discover your Style! Discover Berlin! 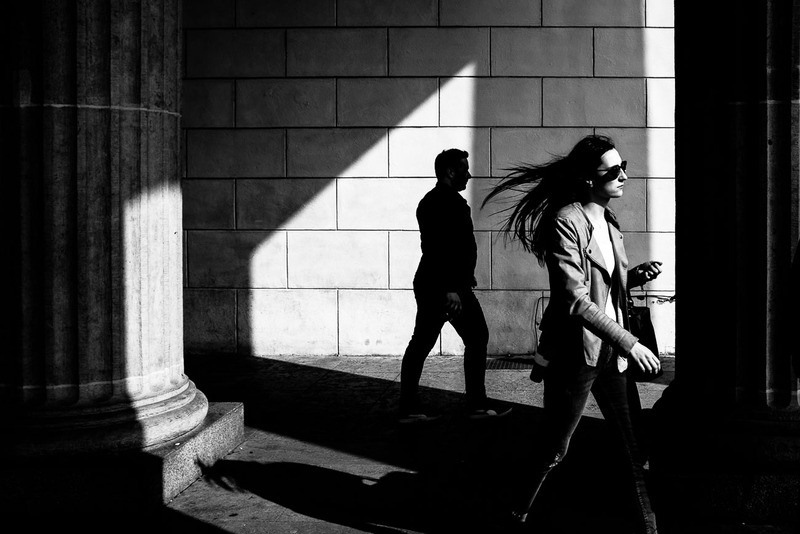 This street photography workshops is designed to meet your needs. It is suitable for beginners who look for an introduction into street photography as well as advanced shooters seeking feedback, inspiration and new impulses. I will work with each participant individually. Both when discussing your images and on the streets. Berlin is a wonderful playground for street photography. Berlin, the city I love to live in for over 35 year. And I’m happy to show you why. Please send 5 images for the initial portfolio review via wetransfer.com. Please note: Meals and accomodation in Berlin are not included. The workshop fee is 190€. Full payment on booking required. Please use the Paypal buttons for safe and easy payment. For payment via bank transfer, please contact me for banking details. Check also the Photo Workshop FAQ for additional information. If you have any questions, please do not hesitate to contact me. Looking for a different workshop date? Please have a look at the photo workshop overview. Hey Martin, I want a workshop! Please leave this field empty.